Queen Creek needs to preserve an appropriate amount of land for future employment. However, according to studies done in 2004, 2008, 2009, and a new one done by The Town of Queen Creek in 2013, currently there is double to triple the employment land set aside than the Town needs or can ever use. In fact, the studies indcate that planning for more employment than the town can actually use is harmful to the town. 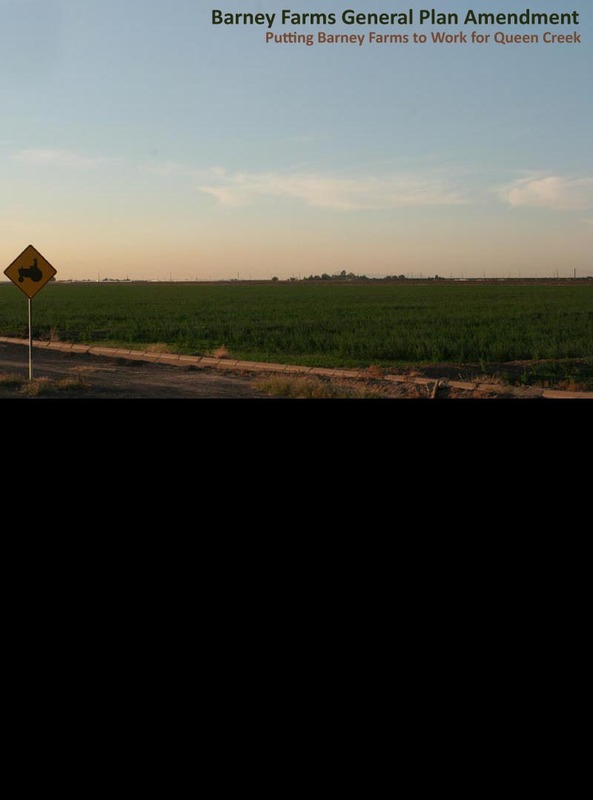 Leaving large tracts of land undeveloped means that there will be large pockets of the town where critical roads (see more on Meridian Road) and other infrastructure do not get built. Under the current Special Area Plan (SAP), Queen Creek is responding to this problem by bringing employment land into a balanace consistent with all 4 studies.